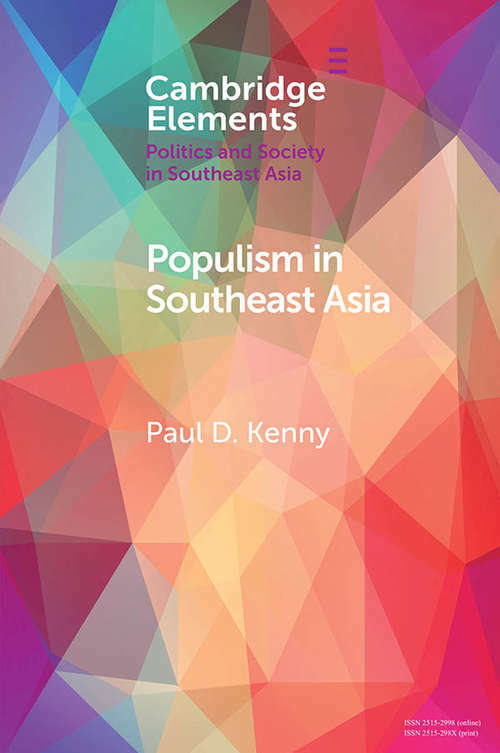 This Element is organized around two questions: What does populism mean in the context of Southeast Asia? And what are the causes of populist success in the region? Populism is conceived of as political strategy through which charismatic leaders establish unmediated links with otherwise unattached mass constituencies in their quest to gain and retain power. Having identified all of the cases of populism in Southeast Asia's democracies, the main argument put forward is that populist mobilization thrives in the region because parties are so weak. This weakness is in turn is caused by institutional and political economic factors.